Just when we were ready to go to war with our kids over their habit-forming video gaming obsessions, the medical field may have given them the perfect comeback. Over the last few years it appears that the video gaming industry’s hugely popular virtual reality devices are proving to be a valuable in a surgical training context. Besides giving surgical trainees more time in a realistic setting, VR also creates an amazing context for the real-life practice of surgical medicine. “Our research shows that virtual simulation is as good as or better than traditional training methods,” William Sheahan, director of the MedStar Simulation Training & Education Lab in Washington, D.C. tells HealthTech.com. VR also shares the same tech space with augmented realty (AR). Augmented reality enhances experiences by adding virtual components such as digital images, graphics, or sensations as a new layer of interaction with the real world. Contrastingly, VR creates its own reality that is completely computer generated and driven. VR also requires the use of a headset and a handset to direct the user around the VR environment. Augmented reality has quickly moved out of the training class and is now being implemented real-time. 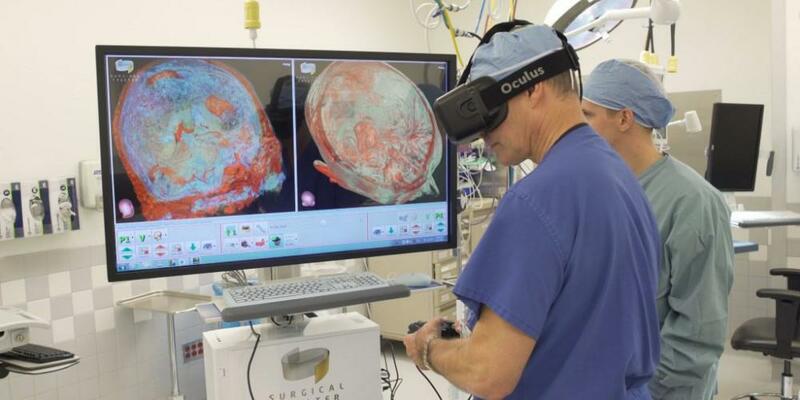 Last month surgeons in Texas used AR to make invasive surgery less invasive for a patient. A three-dimensional image that showed the complex anatomy of the area being treated was laid over that area. It allowed for an endoscopic surgical procedure that was remarkably precise and less invasive. As surgeons use AR more frequently you will no doubt see significantly improved results in complex surgeries and the patients’ recovery. This marriage of this new era of gaming technology and modern medicine doesn’t guarantee that all of these young gamers are going to be the next wave of surgeons. But it does mean that surgeons today, as well as the next wave of surgeons, will continue to be well trained, well equipped, a pretty good at playing Star Trek: Bridge Crew. If you have any questions about surgery or a medical procedure don’t hesitate to call the expert team of medical professionals at Desert West Surgery at 702-383-4040.